The results of the "Nine Treasures" special project, which has truly become national, have now been summarized. In the words of the curator of this project, the Vice-Chairman of the Government of republic Tyva, Dina Oyun, this was one of the largest Internet and SMS voting projects on the territory of Tuva. The numbers of the participants exceeded all expectations more than 14 000 SMS messages were sent to the "Tos-Ertine" number. The snow leopard and "Bizhiktig Khaya" became the leaders of both the SMS and the Internet voting. "The most important part of this project is that it unites us. Everybody took part - young and old, representatives of all kinds of professions, of municipal agencies", - Tatiana Ivanitskaya, the representative of WWF emphasized. 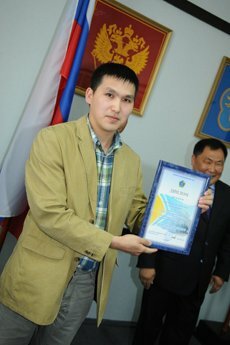 Mai-ool Mongush, a resident of Kyzyl, has started his business in 2009, when he received a grant of the chairman of the government of Tuva - 300 thousand rubles. Now the businessman is already making seven brand products - sour milk beverage "Bozha", national dish chokpek with various flavors, bozhazhyk - a Tuvan cottage cheese, kurut, fast-cooking dalgan "Jachmenka", and Tuvan cheese - byshtak. 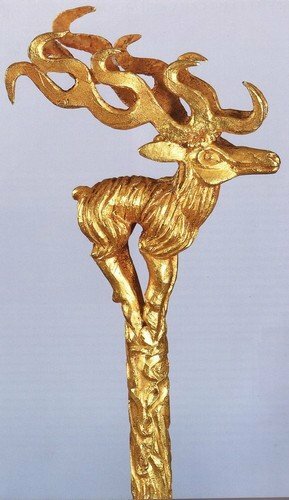 The president of the foundation "Prussian Cultural heritage" Hermann Parzinger will give a lecture today at the National Museum of Georgia (Gruzia) about the archeological research in Siberia, as announced by "Novosti-Gruzia" and the press-service of the museum on Wednesday. The theme of this public lecture is "The latest archeological research in Siberian steppes - royal burial Arzhaan" is the study of the earliest known kurgan containing an "elite" burial of Early Scythian period. The German professor led the archeological excavations in the Russian republic Tuva, in South Siberia, which were performed in the Valley of Czars, where rich Scythian burials were discovered. On February 24 at the National Museum of Tuva, an event that everybody has been eagerly waiting for will take place: finally, the results of the special project "Nine Treasures" will be presented. Everybody who participated in the project discovered something he did not know before,, and got an opportunity to see Tuva in a new light. And the scientific worker of the Ubsunur international center of biospheric research, Tatiana Prudnikova is not hiding her interest in the project. Thanks to it, she discovered for herself the nature of an astonishing phenomenon, which is in folk tradition called "charash-dash". However, our conversation with Tatiana Nikolayevna is not only about "charash-dash". Even though this is where we'll start. World-famous group "Yat-Kha" will be giving a joint concert with ethno-group "Uragshaa" on the stage of Buryat Philharmony on 16 March, as announced by the press-service of ministry of culture of Republic Buryatia. 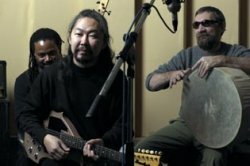 Recall that in December 2010 the English album of the Tuvan musicians "Poets and Lighthouses" made a steep ascent, getting to the fists place from the twentieth in the hit parade. Most of the songs were composed by the leader of "Yat-Kha", Albert Kuvezin to verses of Japanese poets of the middle of the 20th century. As a result of this year's spring lambing and calving season, Tuva is expected to have 45 thousand heads of calves, 490 thousand lambs and kids, more than 12 thousand heads of colts, 570 calves from (vazhenka? ), and 12 baby camels. The mass birthing season is expected in the middle of March. 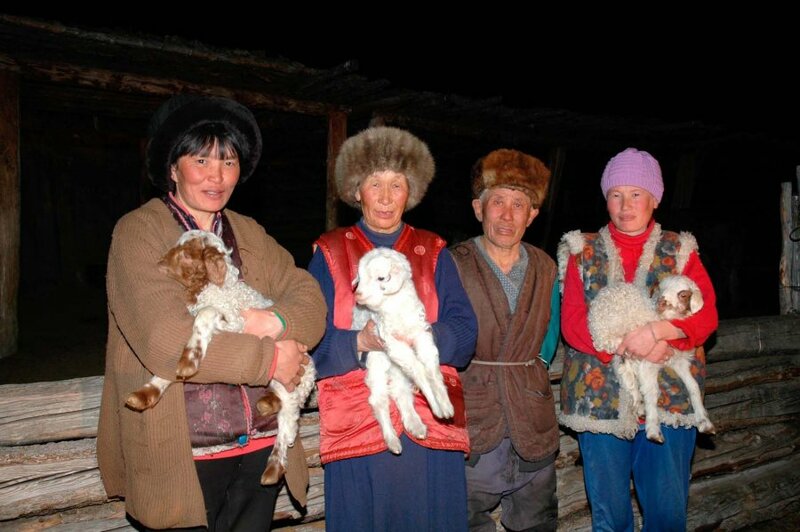 But according to vice-minister Sergei Oyun, by this time in 9 districts of the republic, already 1358 calves and 20.5 thousand lambs and kids have already been born. That is 3% of this year's plan. The majority of these young are in private farms. Regular regional flights from Novosibirsk to Novokuznetsk (Kemerovo region), Kyzyl(Tyva) and Abakan (Khakassia) will start in the summer of this year. "One of our biggest directions which was developing successfully in 2010 is regional transport. we opened flights to Tomsk, Omsk and Gorno-Altaisk. 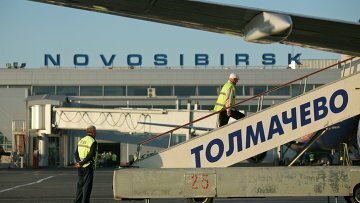 We are planning to open flights to all the subjects of Siberian Federal circle by the end of this year, or by the next spring of next year", announced the general director of Novosibirsk international airport Tolmachevo, Alexander Borodin, to the journalists on Monday. 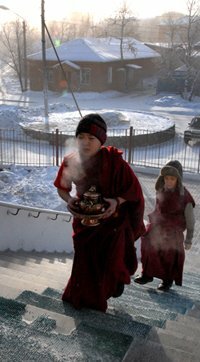 Every year, the Shagaa holiday gathers more meaning for the residents of Tuva. People strive to celebrate it with observation of all the rules. Representatives of the middle generation, who had to forget about the celebrations of folk holidays during the Soviet era are only now beginning to remember the traditions of their ancestors. 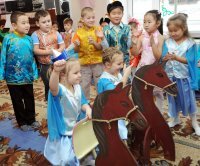 Today, respect for national customs is obtained in kindergarten. Today, on the last day of the old year, the head of the republic Sholban Kara-ool visited a morning celebration in "Rucheyek" kindergarten, of the Kaa-Khem village, and convinced himself personally that even the smallest children understand the deeper significance of Shagaa. Today is the eve of Shagaa, the Lunar New Year, - buduu. As the scholar-ethnographer Mongush Borakhovich Kenin-Lopsan writes, children up to 13 years of age may sleep during the "buduu' night, but the adults did not sleep, and spent the night telling and listening to stories and playing games. Early in the morning, between 3 - 5 a.m. , is when the New Year comes. In Tuvan this time is called "Shagaa bazhy chalarady", - "Shagaa is showing its head". "The first day of Shagaa is definitely the greatest day of the year. People's age is determined by Shagaa, people would say "I have met so-and-so many Shagaa." A newborn would be considered to be one year old, and a baby born on the eve of Shagaa would be two." During this time, when the sun is rising, everybody would put on their best traditional clothes, would go outside, and carrying trays "despi", wooden platters with boiled mutton ribs and various delicacies, would ascend to a hill, where they would perform the "san salyr" ritual - lighting of the sacred fire.